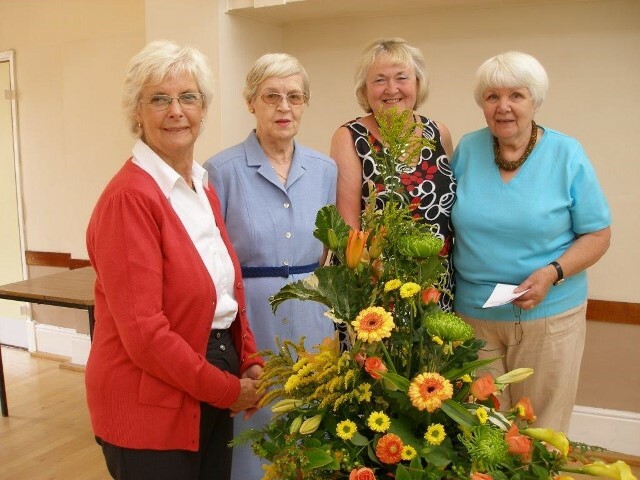 Edwinstowe Flower Club came into bloom in 1962, when five ladies (Nancy Hodgkinson, Vera Brocklehurst, Dolly Lambert, Margaret Robinson and Doreen Kerfoot) who belonged to Mansfield Flower Club decided to form a Flower Club in Edwinstowe. 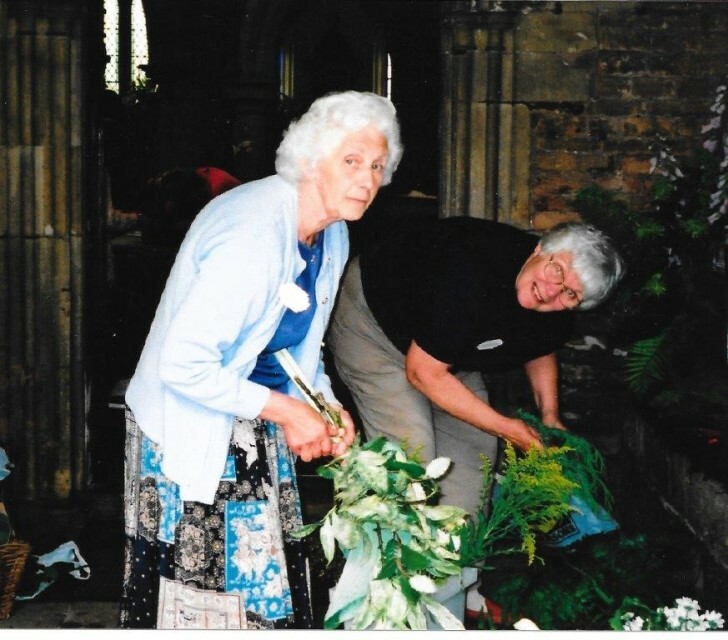 Becoming affiliated to the local Horticultural Society in the village, they began the task of publicising the group, with posters being displayed in windows, etc. 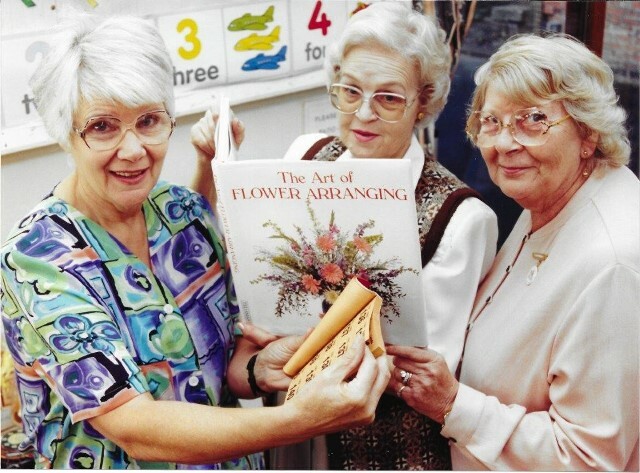 Eventually, a Committee was formed and Practice Meetings or Workshops were held to teach the art of flower arranging. 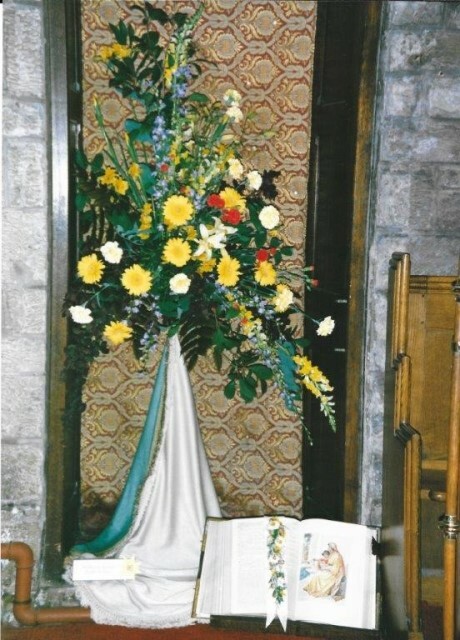 In the Church magazine (March 1966) the vicar reported that a “Flower Festival” would be held in July and the local Flower Arrangement Club had agreed to co-operate. 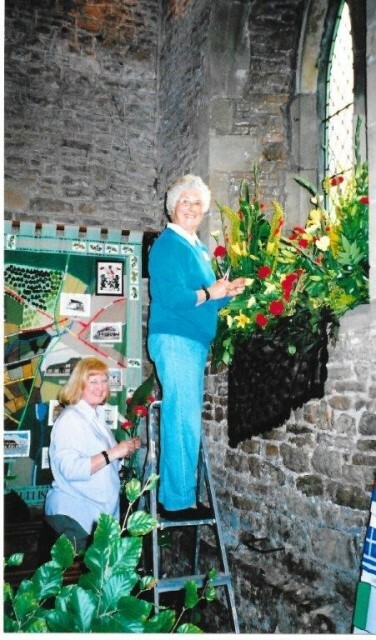 A great amount of publicity was engendered and the Flower Arrangement Section of the Edwinstowe Horticultural Society planned the decoration scheme. The call went out for gifts of flowers from as many gardens in the village as possible, and for all who would give a hand in the decoration. All those willing to help were asked to bring a bucket, plenty of newspapers and, if possible, a plastic sheet. 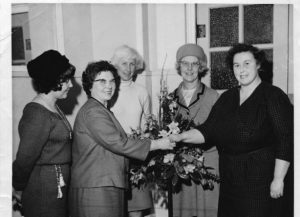 When the Horticultural Society finished, the group became known as the Edwinstowe Flower Arrangement Society. Over the years, different venues were used: the Miners’ Welfare Hall, the Leisure Centre and the Village Hall. The Miners’ Welfare Hall became rather expensive to hire, so when they were approached with an offer of a room, at reasonable terms, in the new Leisure Centre they decided to give it a try. 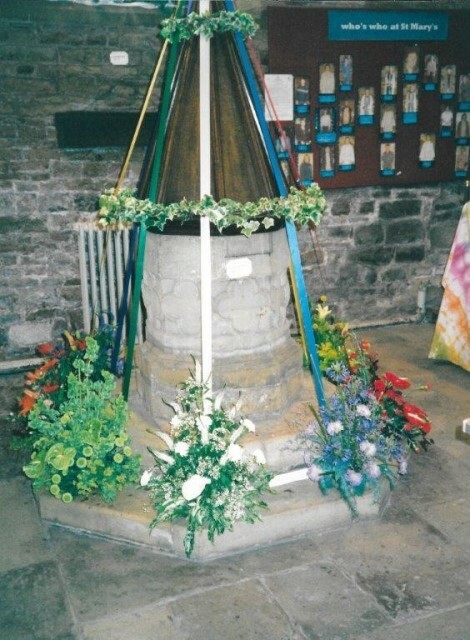 This was a good site for the demonstrations, but a number of drawbacks were experienced, so when they were asked to leave to make way for a Bar, the group moved to the Village Hall which, prior to renovation, had been the old Church of England School. The first exhibition was in the Old Bolsover Colliery Company Cinema (or Youth Club) on Church Street. Having become established they invited many very well- known national demonstrators, including Sheila McQueen and George Smith. 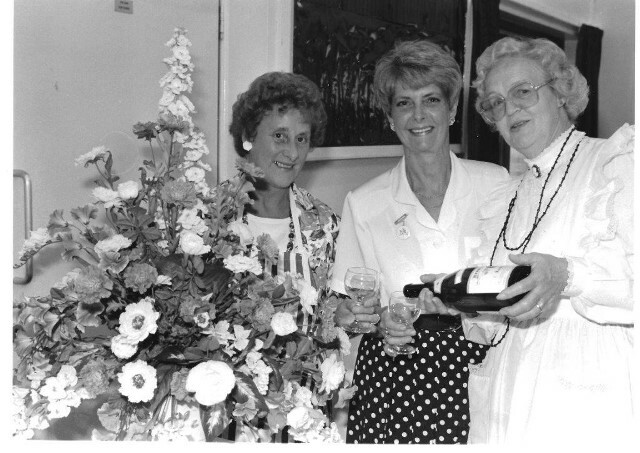 Being a member of the NAFAS meant that the Society became involved with activities beyond the village. 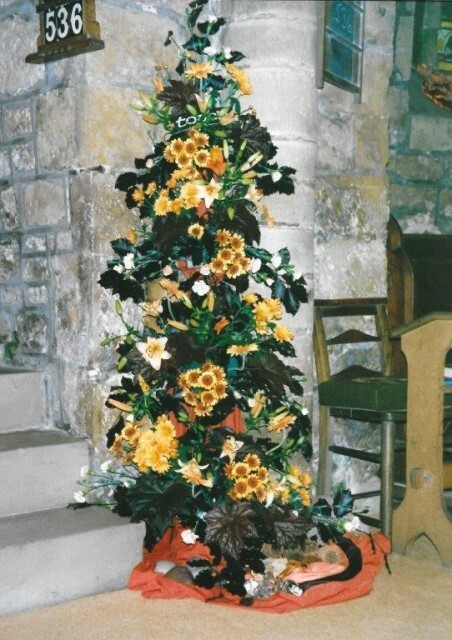 In September 1994, five members joined flower arrangers from across the North Midlands to take part in the Tercentenary celebrations at Chatsworth House, where they decked out the Painted Hall in black, gold and orange displays. 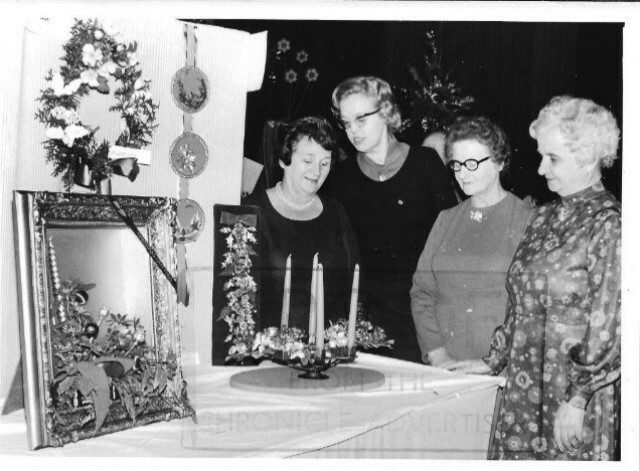 Exhibitions were held in churches, stately homes, i.e. 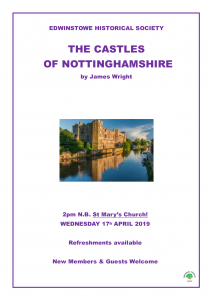 Kedleston Hall, Thoresby Hall, Belvoir Castle, Chatsworth House, and Newstead Abbey, also Southwell Minster and Nottingham Cathedral. The ladies had also arranged at the Chelsea Flower Show and Westminster Abbey. 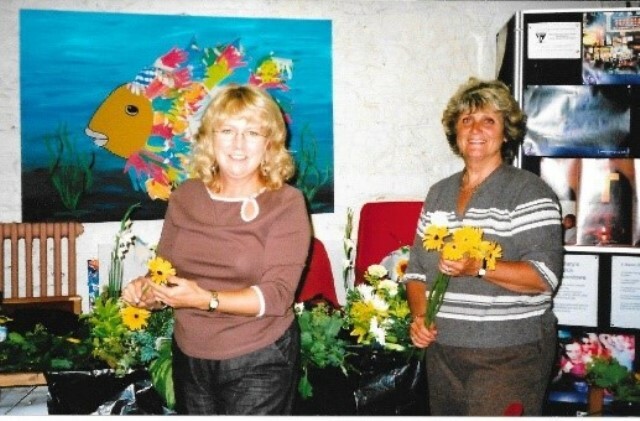 Then there was the occasion when the members took part in a “Flower Trail” decorating 22 shops and venues around the village. The village looked beautiful and was appreciated by everyone in the village as well as visitors. 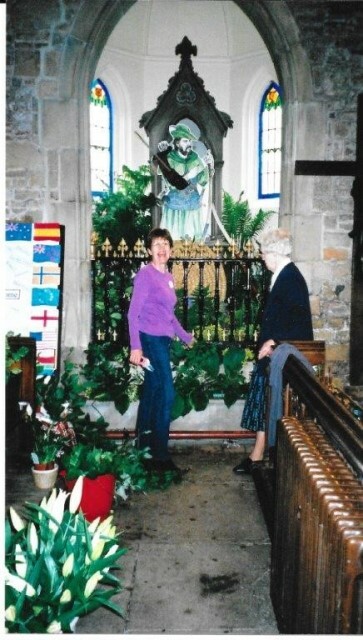 Several Flower Festivals were held in our own St Mary’s Church. During the course of which money had been raised for various charities. 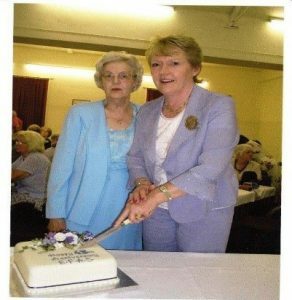 The 45th anniversary was celebrated in 2007, when guests included founder members Doreen Kerfoot and Nancy Hodgkinson, also the Chairman of the North Midlands Area of NAFAS. A celebration cake was provided by two club members. 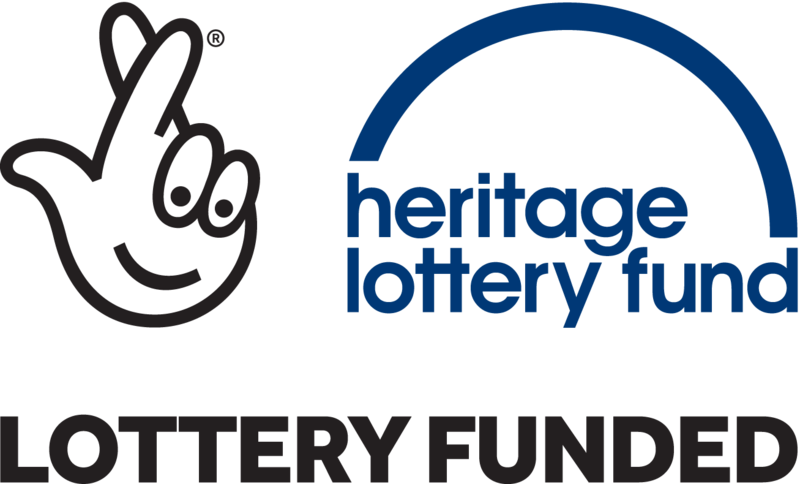 In 2010, the Club received a grant from the Nottinghamshire Community Foundation in order to organise a free Workshop and a free Practice night with the aim of promoting the membership of the group. Over the years several members have gone on to study and take exams, also teaching and giving demonstrations to other Clubs. On one occasion 3 members had represented North Midland area at the NAFAS National Show at the Ricoh Arena in Coventry. Although the ladies did not win, it was a feather in the cap of the Club. 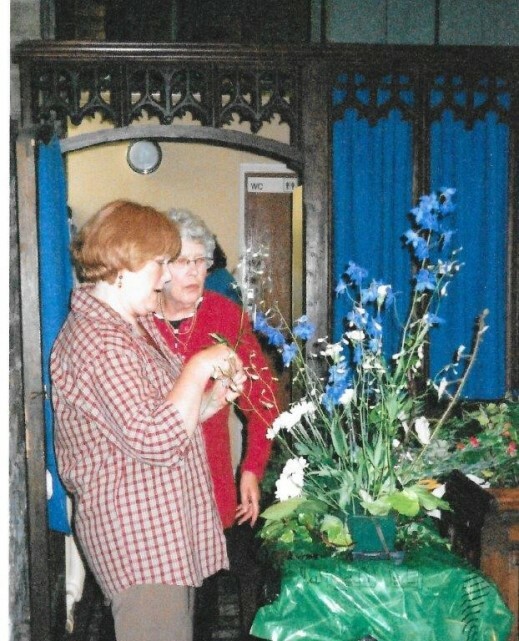 Sadly, the Edwinstowe Flower Club decided to close its doors in 2017, mainly because it was difficult to recruit people who were willing and able to carry on with the organisation of the Club, which had given so much pleasure to the public and its members over the years. 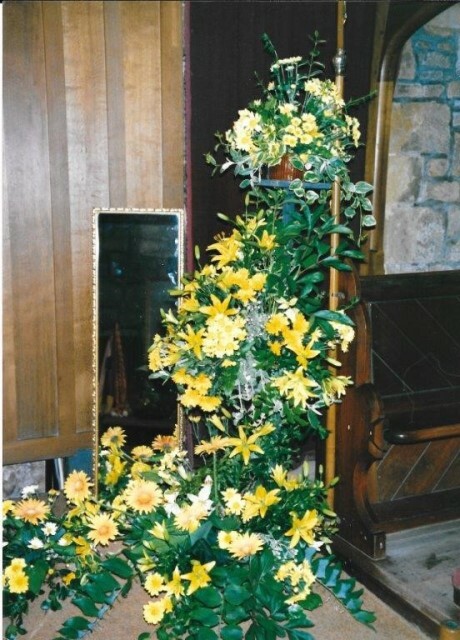 These are photos of some of the members, and the arrangements they have created over the years.